Champaign-Urbana's destination for over 500 teas, coffees and specialty gifts. With over 500 specialty teas, the Walnut Street Tea Company is sure to have what your tastebuds desire. 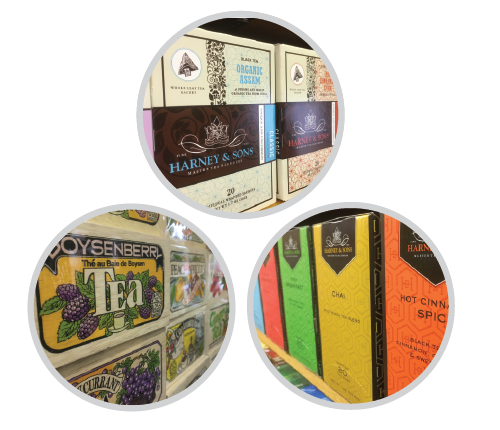 We offer loose leaf and bagged teas to help you explore the wide variety of tea offerings from around the globe. We offer a variety of over 40 whole bean coffee options with complimentary grinding available. There's no minimum amount required on most of our coffees, so it's easy to sample new varieties. Come in anytime and sample our coffee of the day! 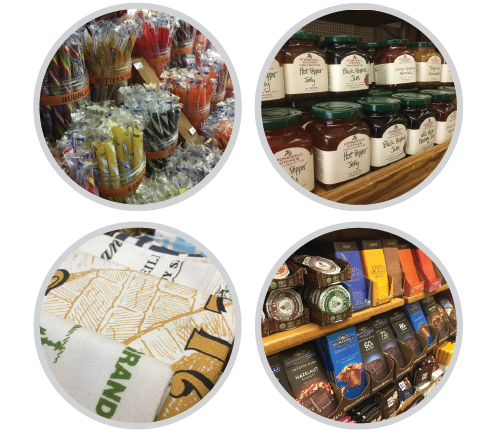 Walnut Street Tea Co. carries a variety of specialty foods and gifts! Cookies, jams, honeys, caramels, candies, specialty chocolates, and MORE! We've got all the "tools" for your tea! 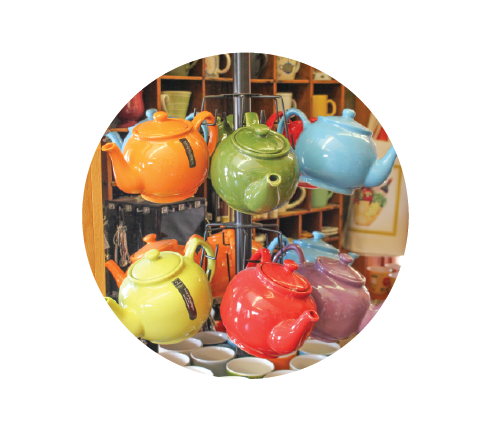 We carry a variety of teapots, infusers, tea bags, tea spoons, and other tea related accessories. You'll find all the goods to make your coffee great. 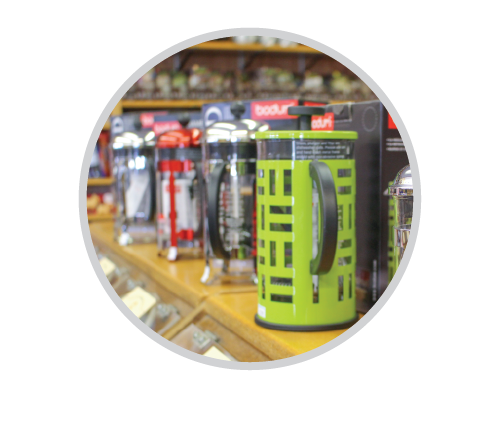 We have french presses, grinders, filters, coffee mugs and more. Unbeknownst to many, Walnut Street Tea carries a large variety of herbs & spices. To the left you'll see about half of what we carry so come check them out! Not a member of the Walnut Club? Get exclusive club discounts, special offers, and access to special VIP events! Get in touch with Walnut Street Tea Company for all your tea and coffee needs. If you can't find something, let us know and we'll see if we can locate it for you. We love tea and we love our customers!